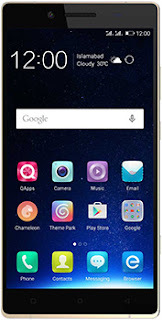 Specs & Features QMobile Noir E8 - Shoot GR8! QMobile delightfully presents Noir E8 in high hopes to blast the competition away. Company is already known as a provider of low-priced phones with not just good but remarkable features. However, this latest QMobile Noir E8 handset is markedly different from any other device from the company stuffed with breathtaking high functionalities at a reasonable price. The front of QMobile Noir E8's metallic body is equipped with a 6.0 inch AMOLED display with a an eye opening resolution of 2560 × 1440 pixels. And it does not just simply ends here the smart power house belonging to QMobile Noir E family is stuffed with a 64-bit, eight core MediaTek Helio X10 processor with a mighty 3GB of RAM along with the built-in flash drive capacity of 64GB plus a microSD slot. QMobile's Noir E8 packs an amazing 24 megapixel camera at rear with a 1/2.3-inch sensor, autofocus and LED flash helping you record two-tone 4K videos with optical stabilization. QMobile E8 front camera Resolution is 8 megapixels, which is noired like never before so that you can share some truly mesmerizing selfies, the handset also includes Bluetooth, Wi-Fi 802.11ac and NFC support. This QMobile Noir supports all 4G LTE networks in Pakistan and also includes a smart fingerprint sensor to easily unlock your phone with added security. The battery capacity of 3520 mAh on Noir's E8 ensures 2 days standby with support for fast QMobiled charging, two stereo speakers with SMART PA are capable of outputting an amazing HIFI + DTS audio playback at 24-bit / 192 kHz. Smartphone QMobiles Noir E8 is available in a sleek aluminum body in gray and golden high Wear-resistant metallic frame, with a thickness of just 9.6 mm. Featuring a compact design with smooth touch sensation, Q Mobiles Noir E8 is sure going to lift you up from your seats.